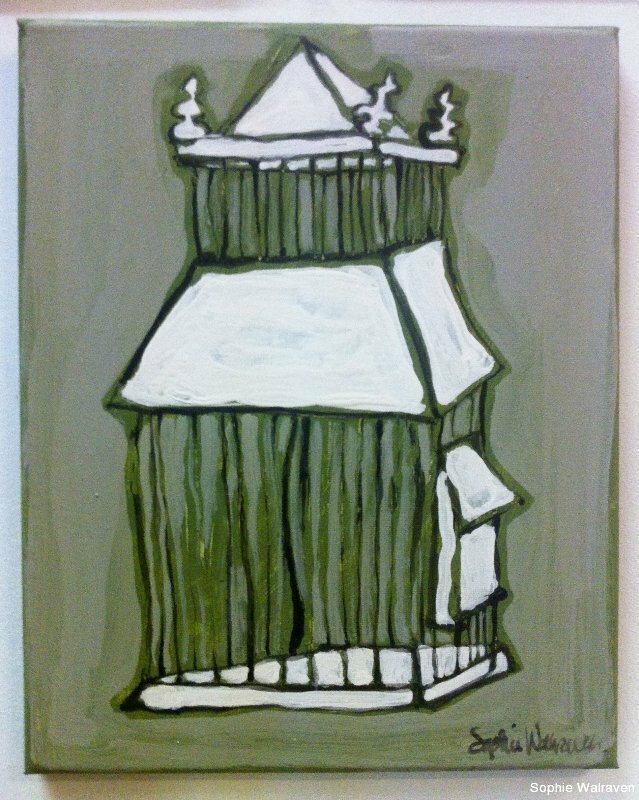 Birdcage painted when I was on the ‘Woonbeurs’ where they had built a copy of my studio. I worked in my studiostudio for four days in 2013. Acryl en inkt op linnen, 30×24 cm. Acrylic and ink on linen, 11.8×9.9″.